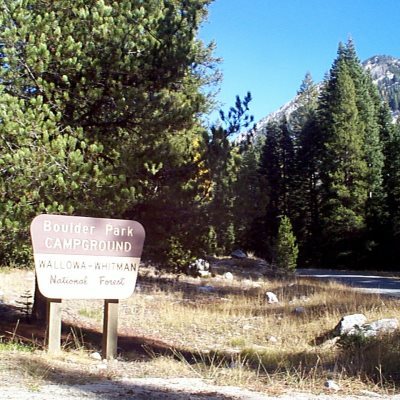 Located at the end of a narrow winding forest road, the Boulder Park Campground receives visitors escaping the rising summer heat. The campground is adjacent to the Wild and Scenic Eagle Creek offering beautiful views of the nearby Eagle Cap Wilderness and Wallowa Mountains. Developed as a horse camp for visitors using the wilderness trails, each campsite has facilities for holding stock overnight.